Why a pediatric dentist for my child? According to the American Academy of Pediatric Dentistry your child should see a dentist by his or her first birthday. Your child should visit a pediatric dentist when the first tooth comes in, usually between six and twelve months of age. Early examination and preventive care will protect your child’s smile now and in the future. The most important reason is to begin a thorough prevention program. Dental problems can begin early. A big concern is Early Childhood Caries (also known as baby bottle tooth decay or nursing caries). Your child risks severe decay from using a bottle during naps or at night or when they nurse continuously from the breast. The sooner the better! Starting at birth, clean your child’s gums with a soft infant toothbrush and water. 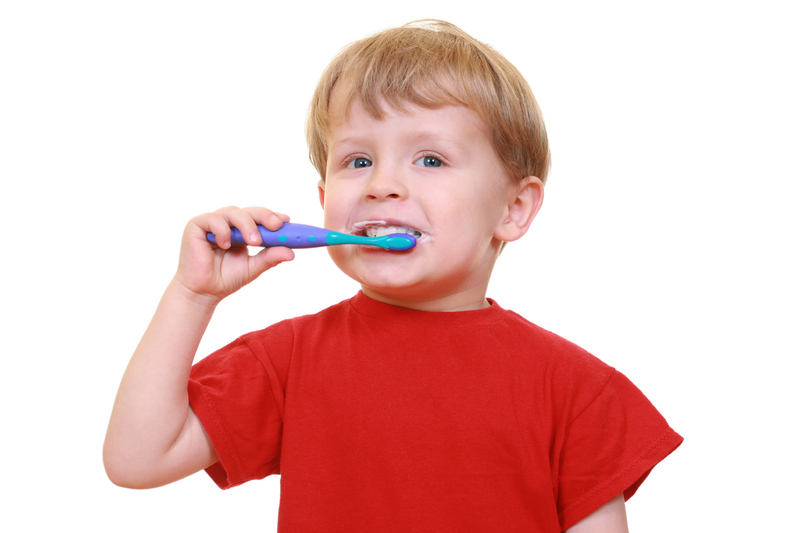 Remember that most small children do not have the dexterity to brush their teeth effectively. Unless it is advised by your child’s pediatric dentist, do not use fluoridated toothpaste until age 2-3. Centreville Children's Dentistry. All rights reserved.